condenser designed for hands-free microphone applications. 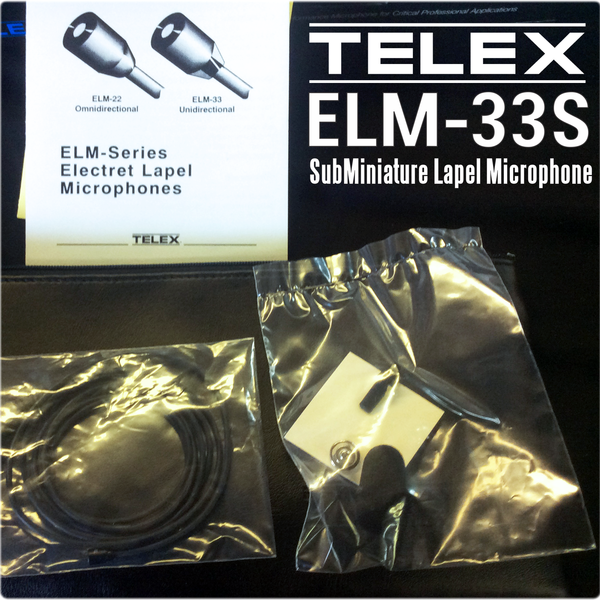 The ELM series is intended for vocal use in theatrical performance, AV presentations, fixed installations, houses of worship, or any venue where a natural sound is required from an inconspicuous, lightweight, lapel microphone. 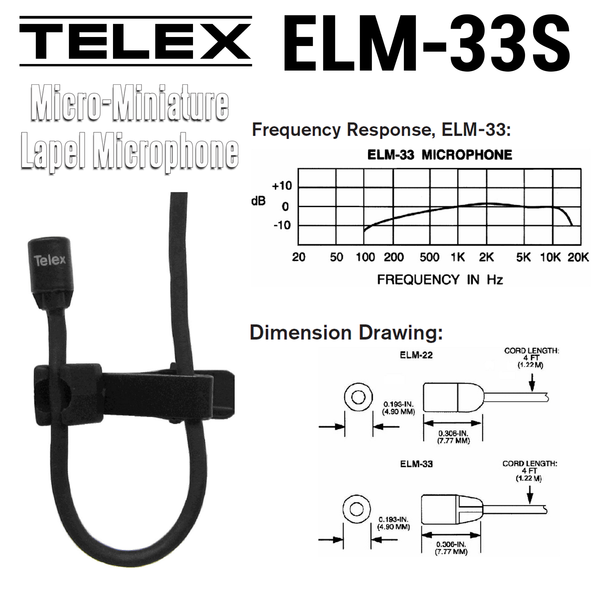 The ELM-33 has excellent frequency response, while the unidirectional polar pattern ensures unwanted sounds are cancelled out. Frequency Response: 100 to 10,000 Hz. 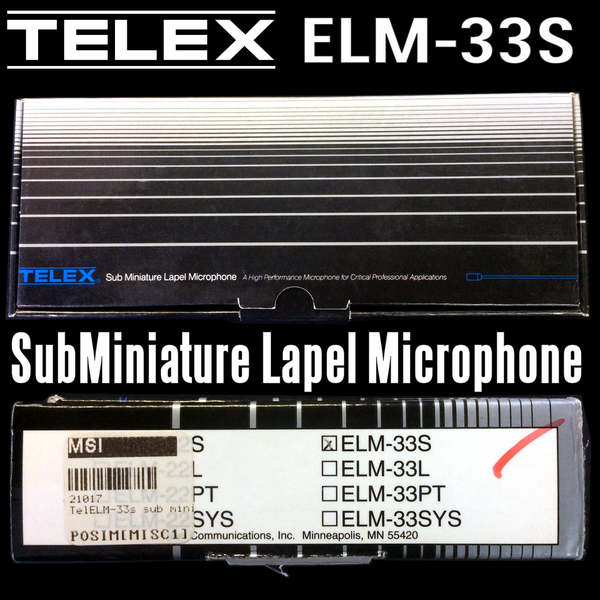 Output Impedance: Microphone: 5k Ohms. Output Level at 1 kHz:	-57 dB. Dynamic Range: > 110 dB. Power Requirements: +3.0 to 20 VDC at bias terminal.